From new home building to additions to basements to commercial offices we can install, tape, and finish your drywall installation request. Perhaps you have an outdoor garage or shed that you want to turn into a workshop or a studio for a hobby that needs more room for your latest creation. We will work with you, helping you to plan and custom design your envisioned project. Even if it’s just a small corner in an already built room that you want to section off for your own little niche, we can help you accomplish that little area of quiet retreat. 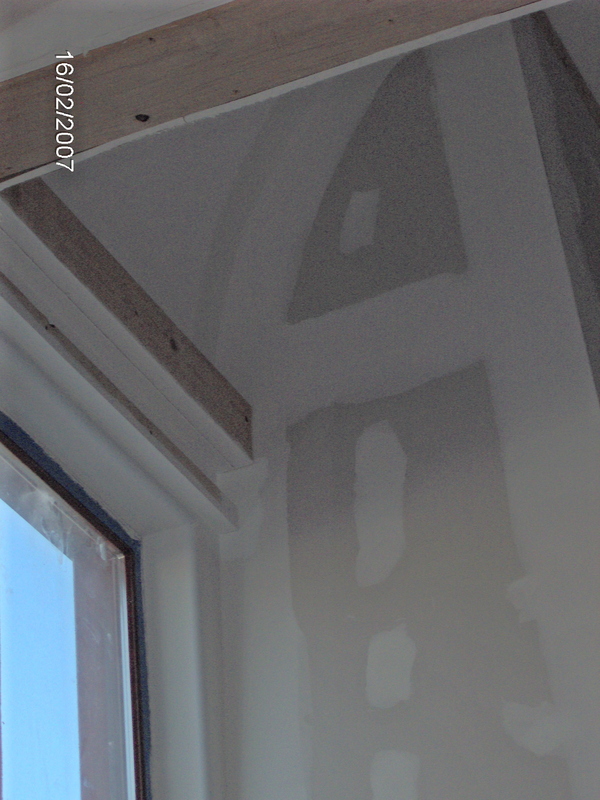 Drywall is a strong building material, but there are times when the drywall needs repairing. Drywall can be damaged following an occurrence by a person or an object. Such as, if a door is accidentally swung open too far hitting the drywall, it may cause an indentation or hole in the wall. Also, a leak in plumbing will produce water damaged drywall and it’s not a pleasant thought, but termites like to feast on the paper that sandwiches the plaster. After newly built construction of a home, a house can shift or settle causing cracks in the drywall. A faulty foundation or improperly installed drywall can also cause cracking. And if for decor reasons wallpaper was applied to the drywall, removing the wallpaper can create unsightly gouges. For whatever reason the drywall became damaged, we at McGonagle Plastering and Construction are known for the visibly “undetectable” repair.